The 2018 22nd Annual Third-Party Logistics Study shows the continuation of positive relationships between shippers and third-party logistics (3PL) providers. 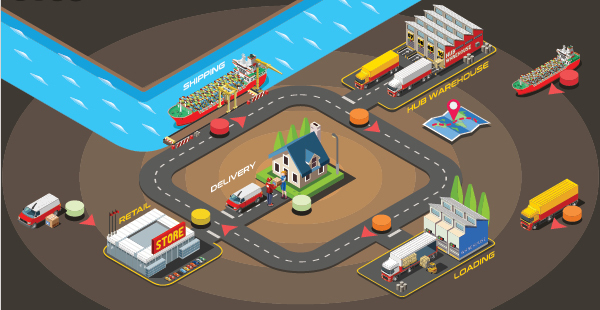 Greater data availability and the ability to make real-time decisions are driving both parties toward more meaningful partnerships, which is leading to innovative solutions that can provide a competitive advantage for shippers. Among respondents to the 2018 study, 73 percent of 3PL users and 92 percent of 3PL providers agree that 3PLs provide new and innovative ways to improve logistics effectiveness, and 81percent of 3PL users (shippers) and 98 percent of 3PL providers agree that the use of 3PLs has contributed to improving services to the ultimate customers. The 2018 study shows the need for and importance of openness, and transparent and effective communication between 3PLs and shippers. And 39 percent of 3PL users and 81 percent of 3PL providers agree that collaborating with other companies, even competitors, can achieve logistics cost and service improvements. Global demand for logistics and supply chain services has had mixed results over the past several years. Global 3PL revenues decreased to $802.2 billion in 2016 from $808.8 billion in 2013 due to the net impact of increases in 3PL revenues in Asia-Pacific and North America, and decreases in Africa, CIS/Russia, Europe, Middle East, and South America. Total logistics expenditures as a percentage of sales revenues have increased, reaching 11 percent in the current year's study from 10 percent in the previous year. Over the same timeframes, the percentage of shippers' transportation spend managed by 3PLs increased to 55 percent from 53 percent, while the percentage of shippers' warehousing spend managed by 3PLs decreased slightly to 39 percent from 40 percent. average of 50 percent of their total logistics expenditures are related to outsourcing, which is the same amount reported in the two most recent years of this study. The 2018 22nd Annual 3PL Study reports that 61 percent of shippers are increasing their use of outsourced logistics services, compared to 58 percent reported last year. However, 83 percent of 3PL providers agree their customers increased their use of outsourced logistics services, compared to 88 percent last year. of logistics services. The most common are domestic transportation (83 percent), warehousing (66 percent), international transport (63 percent), customs brokerage (46 percent) and freight forwarding (46 percent). Activities that are more strategic, IT-intensive and customer facing tend to be outsourced to a lesser extent. Among shippers, 15 percent say they utilize 3PL-provided supply chain consulting services, 11 percent outsource customer service, 11 percent outsource lead logistics provider services and 10 percent outsource fleet management. 65 percent last year. This could be because shipper expectations have increased as technology has improved or because shippers seek enhanced analytical capabilities to help drive more effective supply chain decisions. Supply chain conversations have made their way into the boardroom, and an effective supply chain can be a key differentiator between businesses in all sectors. The 3PL sector is increasing globally, and 3PL providers are refining and expanding their core competencies, which, in turn, allows customers (shippers) to focus on their core competencies.